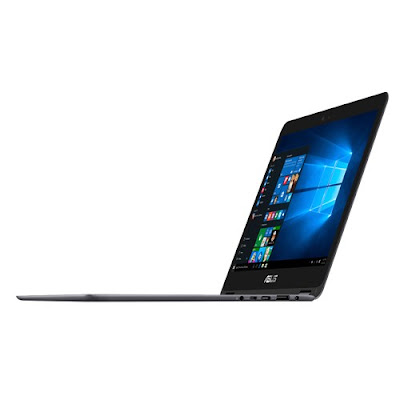 Asus has been introducing many laptop models along with their smartphone series. Asus slowly but steadily raising up in top line laptop manufacturers in Indian market. Asus has introduce diversified product portfolio with High end, mid-range and budget friendly product line-up. This time we have received Asus ZenBook Flip UX360CA for review. We will look into more in details in sometime. Asus ZenBook Flip UX360 as the name tells 360, this device is combination of tablet and laptop brought into single device. What it means? Well it means this device have touchscreen lid that can flip around. Asus ZenBook Flip UX360CA is not as sleek, stylish and light weight as their predecessor’s line-up. This device have touchscreen lid and keyboard that, they have to rest against each other when the two halves are flipped around. When lid is flipped to a certain angle it will activate tablet mode automatically, yes unless you manually turn it off. 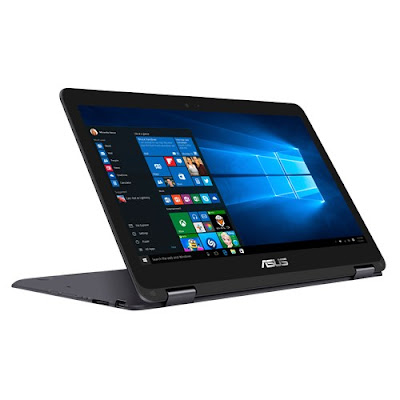 Asus ZenBook Flip UX360CA have 13.3 inches with 16:9 spect ratio LED backlit Full HD (1920x1080) 60Hz Glare Touchscreen. On the back side of the lid Asus have their logo in the middle. Well on other end of the device have all connectivity options. On left hand side you will find USB 3.0 port, sd card slot, status LED followed by volume rocker buttons and power button respectively. While on right side you can see power inlet, USB 3.0 port followed by type C port micro HDMI port and 3.5 mm audio jack respectively. Asus provide a USB Ethernet dongle and another Micro-HDMI to full-size HDMI adapter in the box, which are both much needed for smart TV and other devices connectivity. While in the tablet mode you can still use all switches and connectivity ports in the device. Speakers are at the bottom of the device. 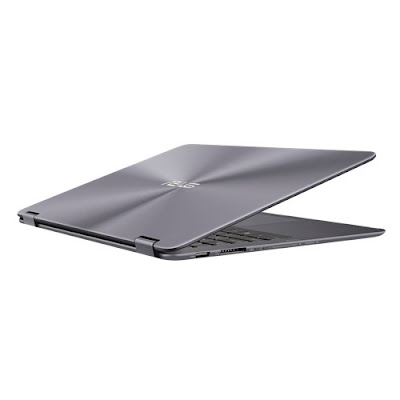 Asus ZenBook Flip UX360 is bit difficult to grip since it is heavier and keyboard deck have sharp edges that make is bit uncomfortable to hold it, especially while you are using Asus ZenBook Flip UX360 as tablet mode. Asus ZenBook Flip UX360CA have Asus zenmark concentric circle design on metallic unibody of itself which look decent. Just one thing more Asus should have added is backlit keyboard which is more useful during the low light or night time. But keyboard get deactivated automatically when you flip hinge to certain angle. Well while using tablet mode Windows automatically flip the display as per the device orientation. Switching between laptop and tablet mode totally seamless, though the bulk of the ZenBook Flip makes tablet mode comfortable only if you can rest it on your lap or knees. Overall thickness is 13.9mm and weight is 1.3kg which is great for a laptop, but not for a tablet. The screen has a resolution of 1920x1080 that is Full HD with 13 Inches of screen\tablet size. Intel’s HD Graphics 515 comes integrated into the processor, which should be enough for everyday tasks. The screen is bright and crisp, but because of the glossy surface we have to pump the brightness up to compensate for reflections. Thanks to the CPU’s dedicated video acceleration hardware we have never faced any issues playing HD, Full HD and 4K content on this device. There’s also Wi-Fi 802.11ac and Bluetooth 4.1, plus a 720p webcam integrated with this device. You get Windows 10 Home basic preloaded with Asus ZenBook Flip UX360CA. Asus ZenBook Flip UX360CA have a bunch of Asus apps including Asus WebStorage, Asus Giftbox, and several small utilities to control things. One new addition is Asus HiPost, which intercepts anything you copy to the Windows clipboard and syncs it to an Android phone running the same app which doesn’t seems to be of much use. The speakers turned out to be capable of producing considerable volume levels. While on Voices in videos came out clean and distinct, with minimal distortion. ZenBook Flip UX360CA 128GB SSD is available on Amazon at 56000/- INR while 512GB variant is available at 96000/- which seems to be bit overpriced. If you want some good hybrid device with performance upfront than this is the good choice for you. SDD perform well and reduce boot-up and IO time so it perform any task. The games are also playable well with minimal graphic on board. For normal users who want laptop and tablet both this is the best choice for you to use. Just one time heavy load on pocket. So this is all about ASUS ZenBook Flip UX360CA. If you have any questions or query do let us know in comment section below. If you like this then share on your social media clicking on button below. Stay tuned for more. Thank you for the reading.